Part two of the inspiring animation company. Studio Ghibli, this company is best known for producing Japanese animation which is also called 'anime' I know this is way different from Walt Disney Animation. Their style of animation mainly focuses on the aesthetics of the film visually. 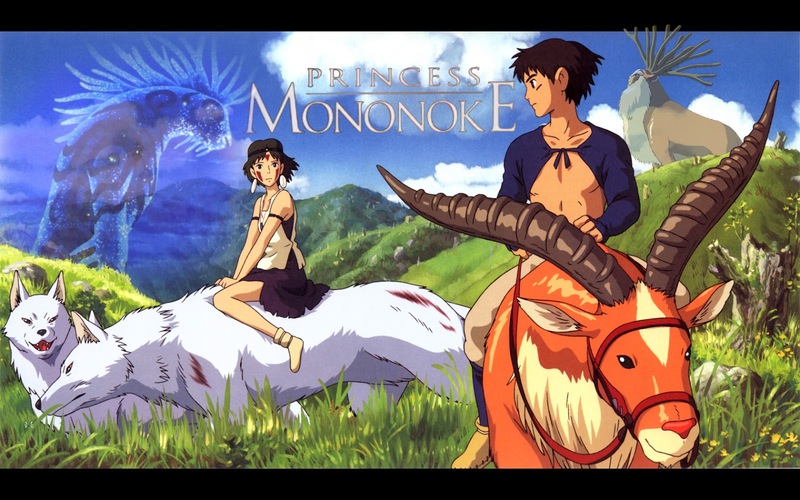 When I first saw a studio Ghibli film which was Princess Mononoke (1997) visually it just looks amazing, the animation style is obviously way different from what you would see, say Disney would produce. But there are still some fundamental basic animation techniques throughout the film. Studio Ghibli studios produce a lot of anime films and throughout all their anime films. They are always best at adding emotion within the story. It always gets me every time. In almost ever anime film I've seen produced by them, the emotion within the story is really strong and it hits the right spot. It hits you really hard, emotionally. That is why Studio Ghibli is one of my inspirational companies just because for me personally they nail it every time in showing emotion within their anime films. Their animation is good but not what I am looking for or to go into. But the way they add emotion into their anime films always work for me. As in animation sometimes it is always difficult to show emotion, that will hit you very deep in the right spot. This is also where I try to learn and improve my knowledge on how to show emotion effectively in animated films.